A few years ago when I was running the reviews section of a magazine which included children’s books, YA novels were awash with vampires. Then suddenly dystopian fiction seemed to be the thing – as if teens don’t have enough to angst about. It seems that publishers find bandwagons hard to get off, no matter how overcrowded they become. Two current well-trodden paths in adult fiction are post apocalypse (closely related to dystopian) and the demented protagonist. 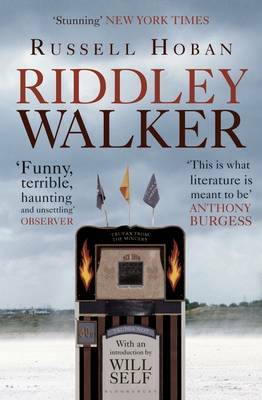 The first has a long history – lots of it around in the Cold War years, for instance, including what’s now come to be a classic of the genre: Russell Hoban’s Riddley Walker. Cormac McCarthy’s The Road seemed to spark off a new post apocalyptic trend with the likes of Jim Crace’s The Pesthouse not far behind and now we have Sandra Newman’s The Country of Ice Cream Star and Emily St John Mandel’s Station Eleven, both longlisted for the Baileys. 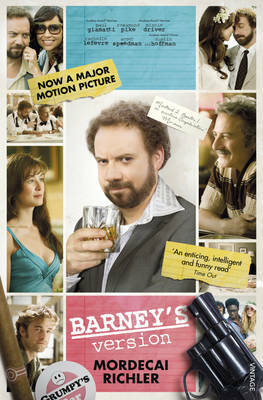 The first example I can remember of the dementia theme is Mordecai Richler’s Barney’s Version. Then there’s Samantha Harvey’s The Wilderness, and more recently Sue Peeble’s Snake Road, Emma Healey’s Elizabeth is Missing, Fiona MacFarlanes’s The Night Guest, Lisa Genova’s Still Alice and Matthew Thomas’ We Are Not Ourselves. Not hard to see what’s triggered either of these trends – climate change and the financial crash seem to have contributed to the first while we’re all terrified of the dementia spectre – but they feel a little over-exposed to me. I’m sure you can think of other well-worn themes, not to mention many books I’ve failed to include. Let me know what your pet likes or dislikes are. This entry was posted in Random thoughts and tagged Barney's Version, Cormac McCarthy, Dementia in Fiction, dystopian fiction, Elizabeth is Missing, Emily St John Mandel, Emma Healey, Fiona Macfarlane, Jim Crace, Lisa Genova, Matthew Thomas, Mordecai Richler, Post apocalyptic fiction, Riddley Walker, Russell Hoban, Samantha Harvey, Sandra Newman, Station Eleven, Still Alice, Sue Peebles, The Country of Ice Cream Star, The Night Guest, The Pesthouse, The Road, The Snake Road, The Wilderness, We Are Not Ourselves on 4 May 2015 by Susan Osborne.